In addition, it's exceedingly likely that, in the morning, you'll find me near a source of strong coffee and, in the evening, wherever beer and wine are flowing freely. If so, please feel free to say hello. I'm always****** happy to chat and/or sign books. Safe travels! Hope to see you there! *Temporally speaking, that is. 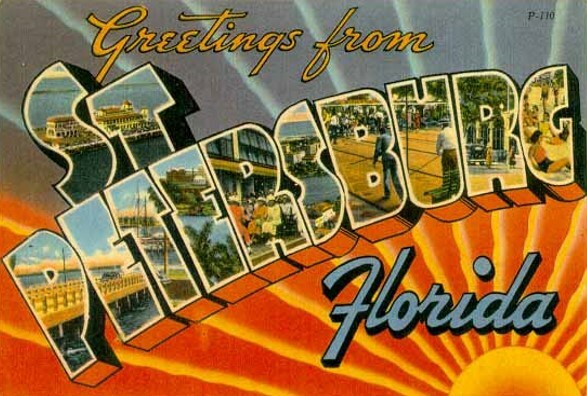 Geographically speaking, St. Petersburg is a solid fifteen hundred miles from my couch. **This is a joke. Please don't stalk me. ***Yup. Totes******* just pulled off "arsed." ****Which, frankly, seems a little lazy of you, but whatevs.********. *****An astute reader might note that I am not actually on this panel. My lovely and talented wife, however, is, so you'll find me front and center. ******Bathrooms excluded. Lurking in my hotel room closet strongly discouraged. *******Also totes just pulled off "totes." ********Less convinced that I pulled off "whatevs." Howdy, blog-folk! If you're reading this, you probably know by now that I'm a regular contributor to Do Some Damage's 7 Minutes With podcast, so it seems a little silly to post about it every two weeks, when an episode goes live (as the fifth one did today). If you're in the market for some dumb jokes and fun recommendations, maybe give us a listen. If not, then you're in luck, because I'm gonna stop bugging you about it here.